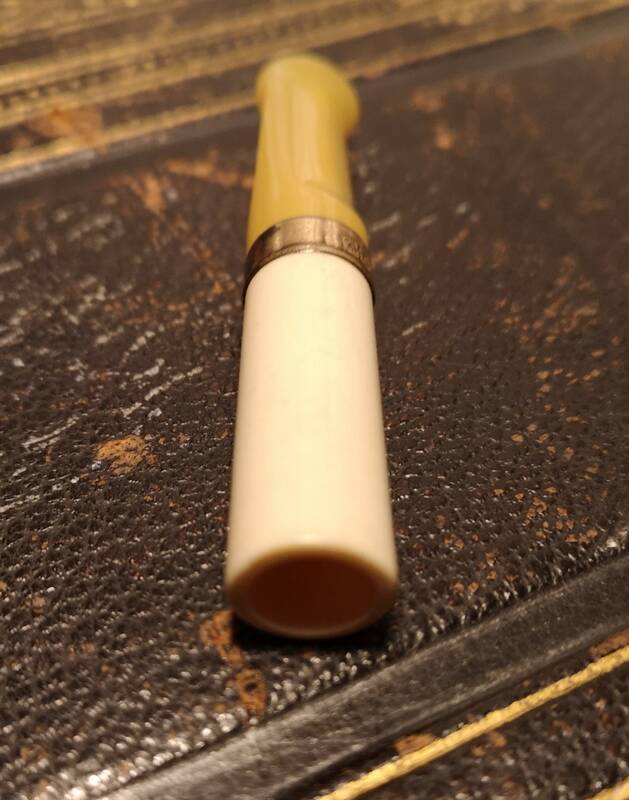 A stylish vintage cheroot holder. 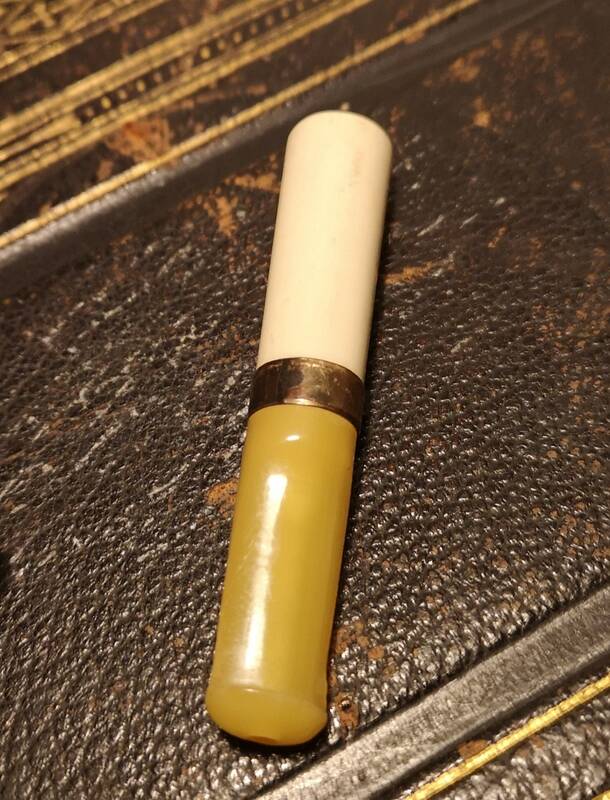 English make, late 1920's, it is made from crystalite (plastic) and has a gold plated band around the centre. 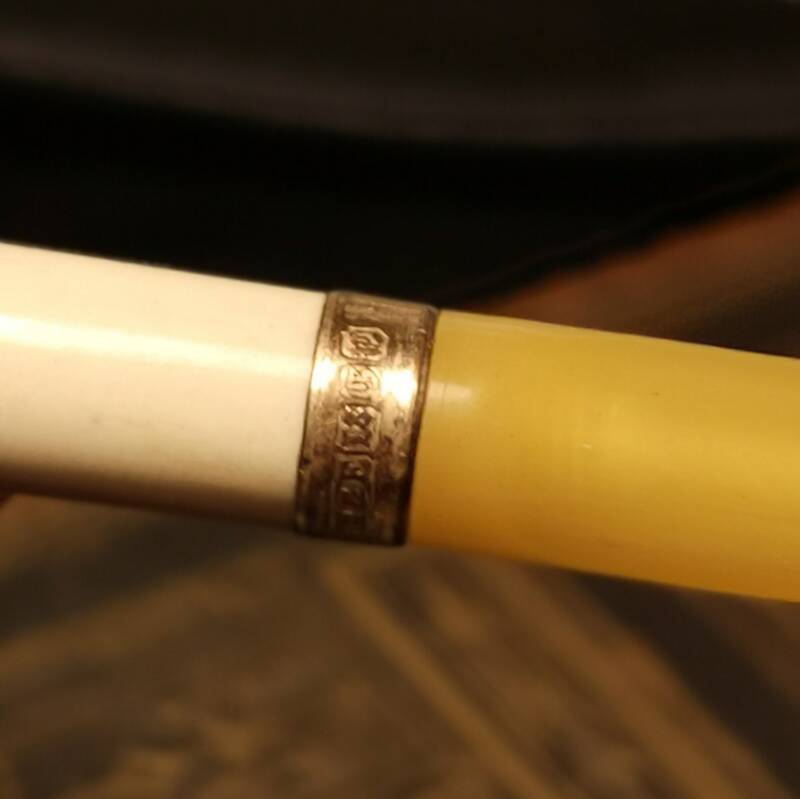 Gold plated band is marked HE presumably the maker and is accompanied by some pseudo hallmarks. 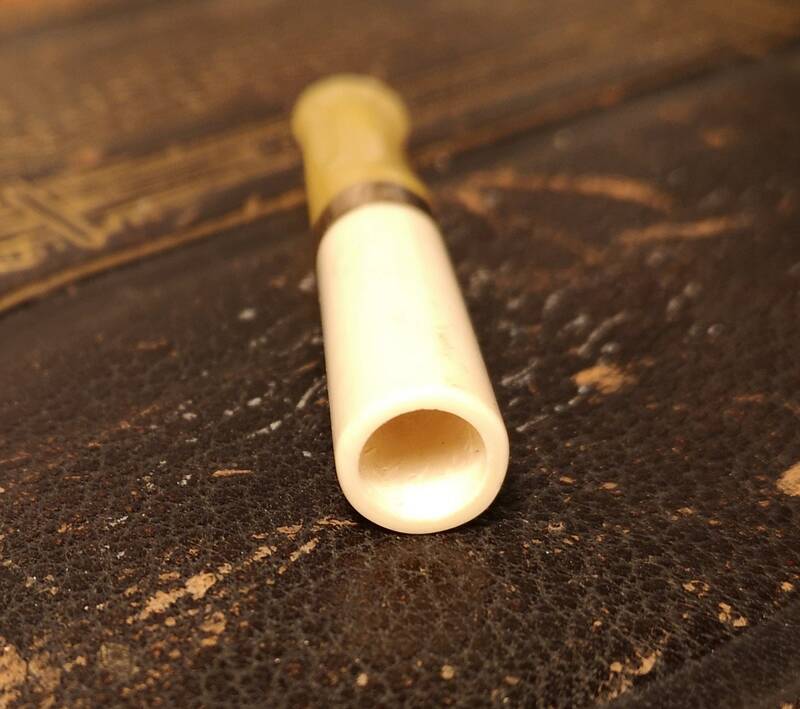 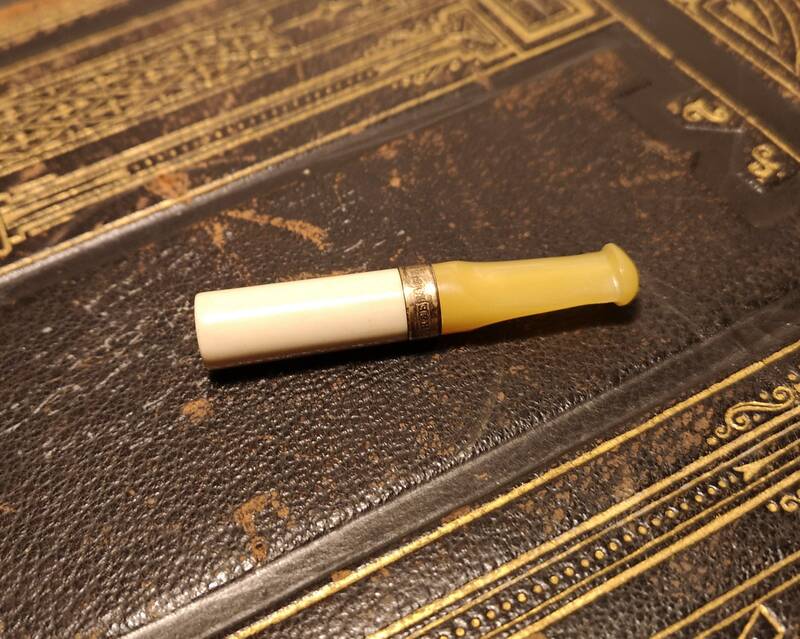 The plastic is coloured to resemble the popular materials meerschaum and amber. 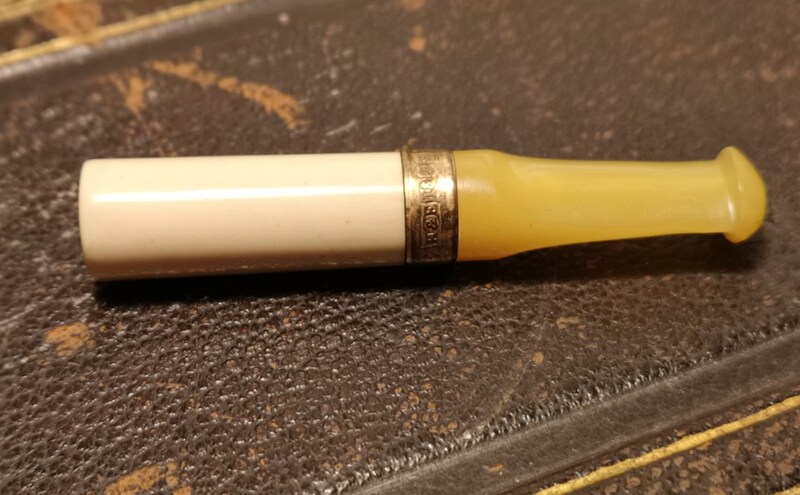 The cheroot holder is in good condition, the gold plating has worn quite a bit but there are no major signs of use inside. 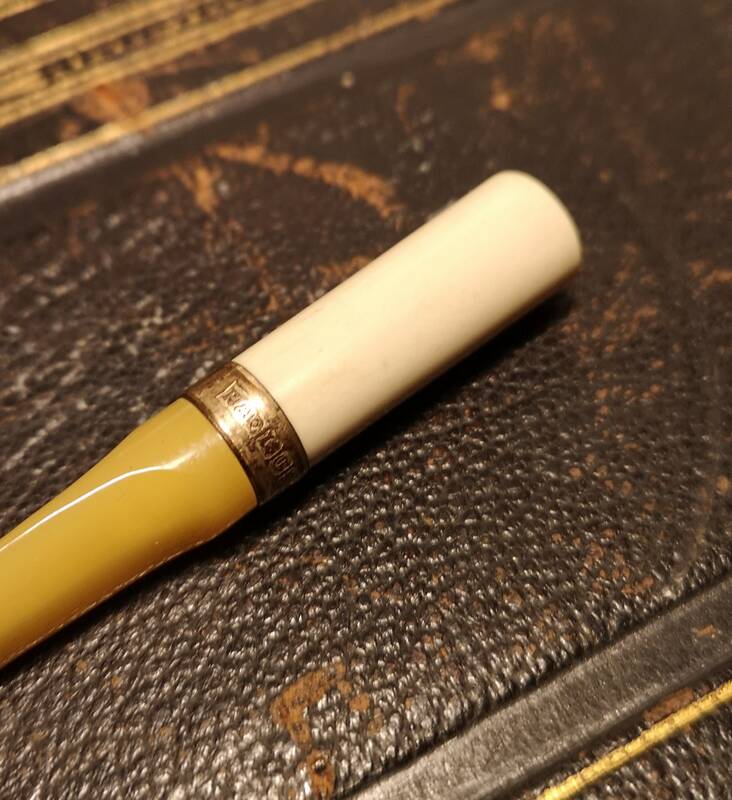 A nice stylish piece without the price tag.